Dr. Chris Rylander received his Ph.D. in Biomedical Engineering and his M.S. and B.S. in Mechanical Engineering, all from the University of Texas at Austin. 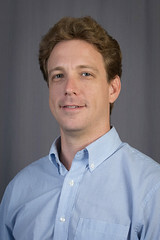 He is an Associate Professor in the Walker Department of Mechanical Engineering at the University of Texas at Austin. His primary technical area is manufacturing and design, but also overlaps into the areas of biomechanical engineering and thermal/fluid systems. He is the Principal Investigator of the Medical Device Laboratory, with research focused on solving healthcare related problems using mechanical engineering design and manufacturing techniques. The broader impacts of this specialized area of research will: 1) improve quality of life for patients, 2) advance the frontiers of scientific knowledge, and 3) educate the next generation of mechanical and biomedical engineers. Since beginning his academic career at Virginia Tech in 2007, he has been awarded numerous grants from sponsors including the National Institutes of Health, National Science Foundation, and Wallace Coulter Foundation with total funding of $4.23M. He has published 30 peer reviewed scholarly articles in high ranking journals such as Lasers in Surgery and Medicine, PLoS One, and Cancer Research. He has graduated four Ph.D.students and nine M.S. students, and is currently advising two Ph.D. students. He is the Chair of the Research and Development Committee for the American Society for Lasers in Medicine and Surgery.